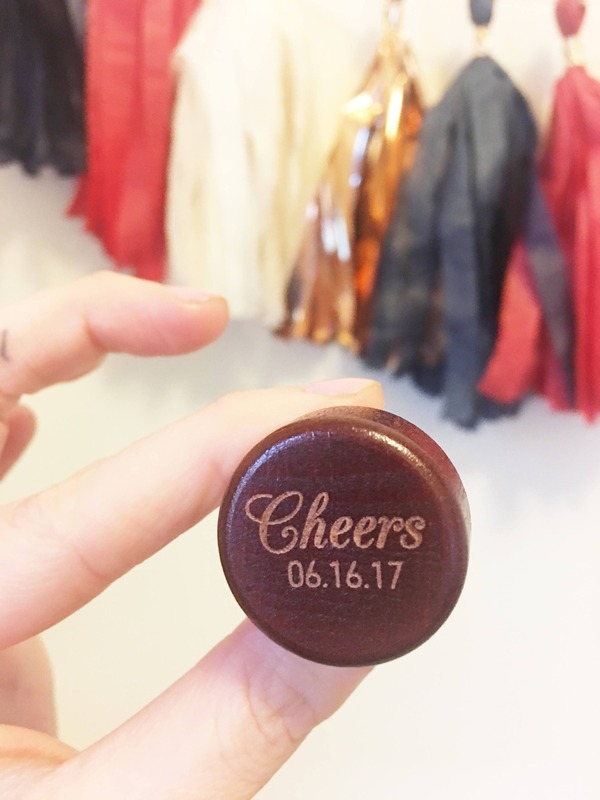 These little cuties make the perfect favors for weddings and just about any event! 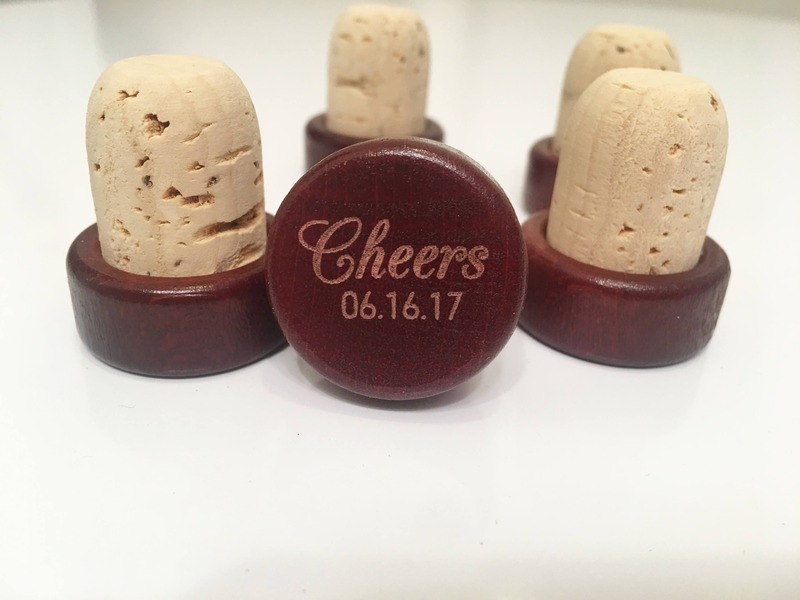 In this listing you have the option of personalizing your wooden corks with the custom date of your event. - From the drop down menu choose the amount you would like. - In notes at checkout indicate your custom date to be engraved. 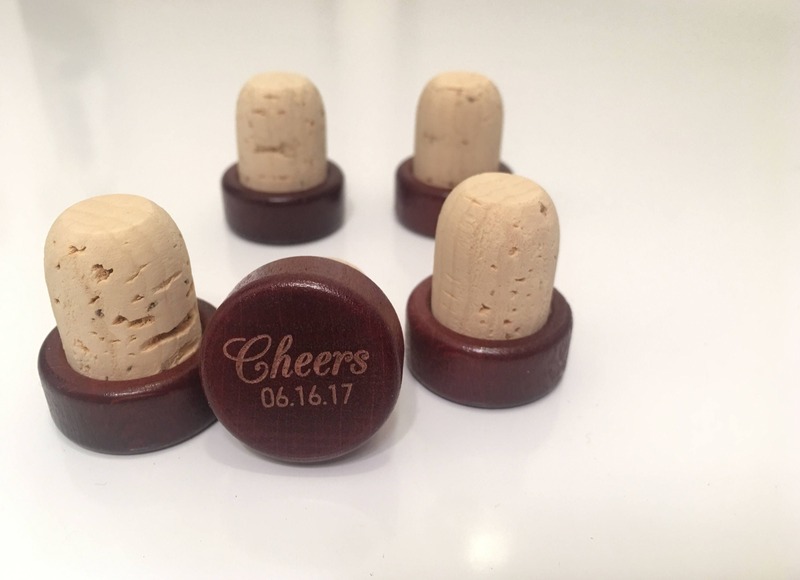 ► Your corks will be laser engraved exactly as pictured replaced with your custom date. Fits 3/4" openings like wine bottles, etc. 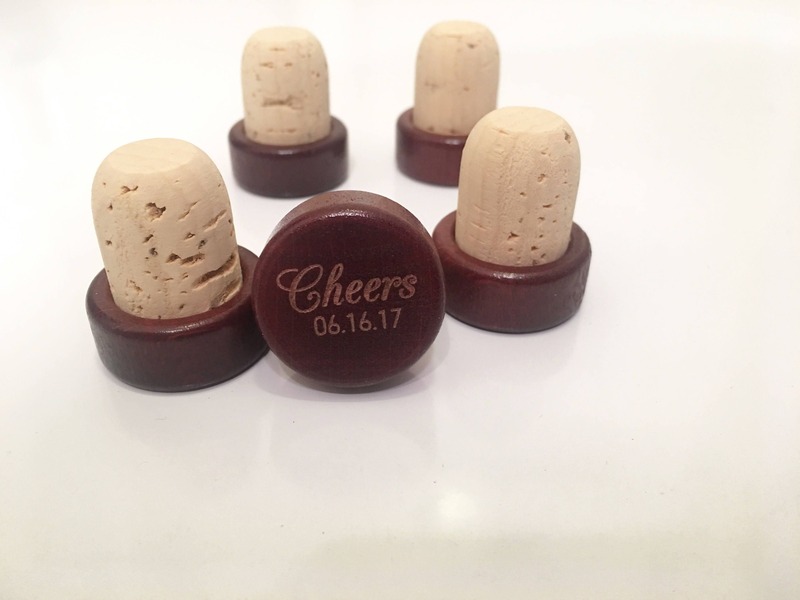 ► If you would like a specific amount of custom corks that are not listed, please send a message to receive a custom listing. 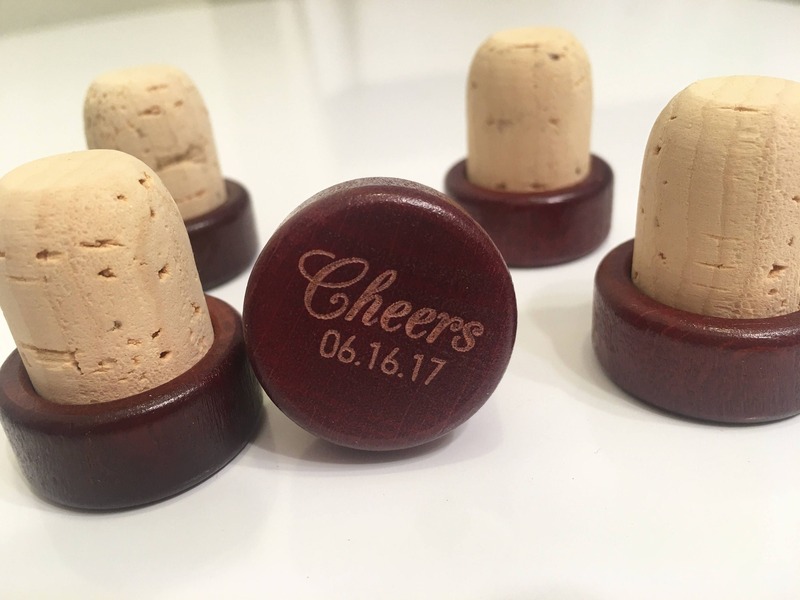 ► If you would like custom engraving on corks and you do not see a design that fits your needs in the shop, send a message with your vision to receive a custom listing. ► These are dark wooden corks but the shade may slightly vary from cork to cork. Since the product is stained some variation in shading may occur.